Reserve Your 2019 Nissan Altima Today! Why Choose a Nissan Commercial Vehicle? Offers cannot be combined. 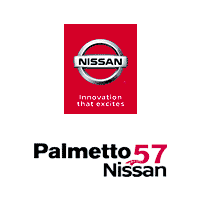 Prices include all available discounts, and all through Palmetto57 Nissan, valid when originate from an internet advertisement, with approved credit when financed through Palmetto57 Nissan lenders, must present the ad. Prices do not include additional fees and costs of closing, including government fees and taxes, any finance charges, any dealer documentation fees. All prices include all available discounts and incentives for those who qualify, specifications, price and availability subject to change without notice. New car pricing may include all available incentives. See dealer to determine program eligibility. Must finance with NMAC or lose $2000 in discounts. Not valid on leases. Palmetto57 Protection Package not included in advertised price Valued at $1995 additional to Selling Price.Out of state prices may vary. In-stock units only. Some installed equipment may not be included in advertised price. We are not responsible for typographical errors. Contact dealer for complete details.